Girl you can't do what the guys do. You know. Non still be a lady. Woman woman I beg you stick to your man. 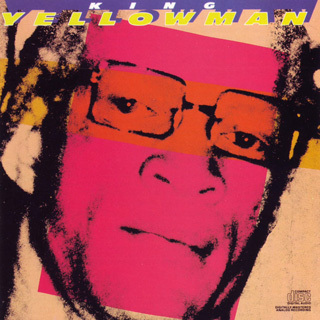 Ca' Yellowman is a one woman man. Oh girl you can't do what the guys do. You know. Man smart but the woman smarter. They know how fi trick you fi get you ??? Ca' me say God make bees, bees make honey. God make man, man make money. But satan make woman fi corrupt man money. ??? L. O. V. E. love you. I want K. I. S. S. kiss you. I want D. U. B. dub you. I want L. O. V. E. love you. Ca' me say sugar your cofee, me say sugar your tee. Wipe out your lipstick before you kiss me. Hug up Yellowman, hug him up tight. Me be the husband and you be the wife. at the microphone is Yellowman. ca' Yellowman come fi nice up session. I want R. U. B. rub you.